Mantic Games is working with Skybound Entertainment to publish a board game inspired by The Walking Dead standalone series Here's Negan. Comic book fans will have the opportunity to play through a portion of Negan's background that’s never been seen before. Work together to clear the claustrophobic corridors of the abandoned factory, but that's only part of the mission. You must also do whatever it takes to gain Negan's respect and players "win" by earning the most Reputation Points. Impress Negan and reap the rewards. Fail and face Lucille’s wrath. 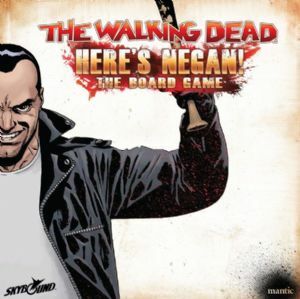 Here's Negan is a co-operative yet competitive board game for up to five players as you will compete with your fellow Survivors to earn the most Reputation Points. The amount of Reputation accrued will determine a group's success at the end of a mission, plus the player with the most Reputation Points will be declared Negan's favorite! 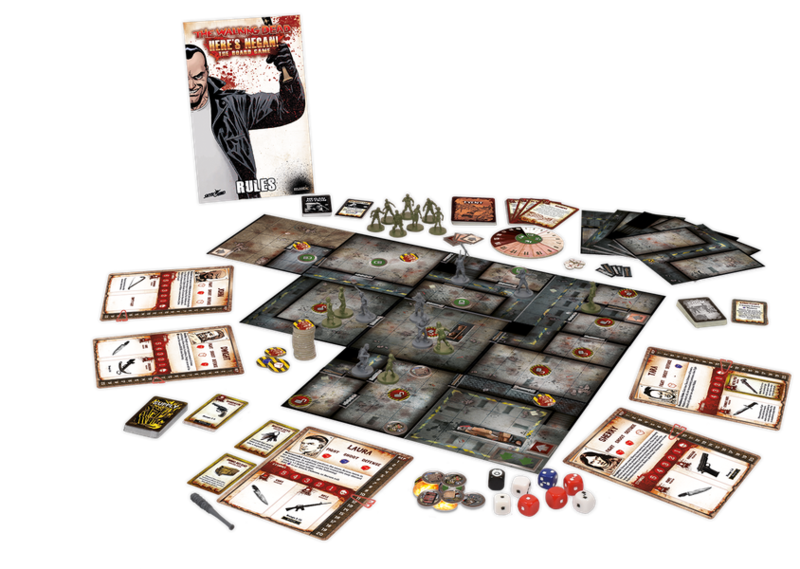 It comes with 19 incredibly detailed, pre-assembled plastic miniatures, 16 double-sided game tiles, plus all the dice and tokens required to play.